Technology has been becoming entrenched in our daily lives more and more in fact it sometimes feels like technology is taking over family life. Parents today are facing a whole new challenge of raising kids with access to everything at their fingertips (on the internet) and often in their pockets (cell phones). 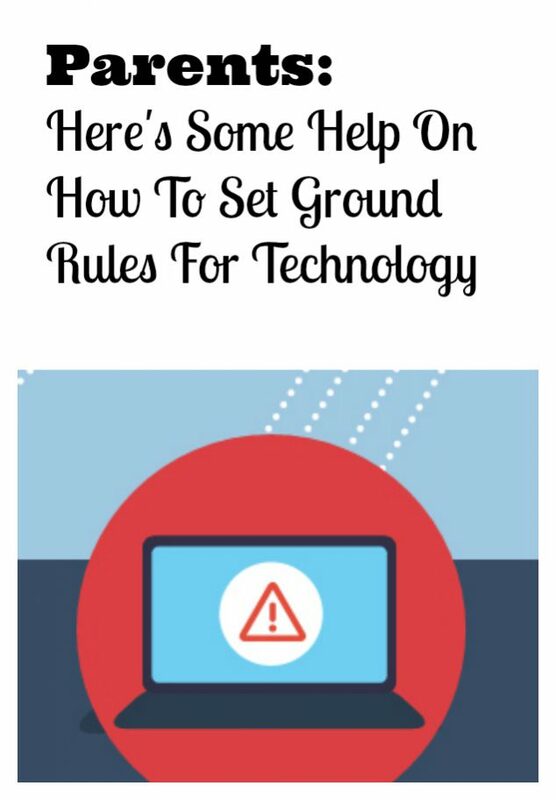 The end of the school year is rapidly approaching and kids are about to experience a lot more free time over the summer and with that comes the challenge of developing technology ground rules for children. I know that technology ground rules are needed but they can be challenging to come up with and to stick to. I have worked with LifeLock in the past and I really respect them as a leader in technology and privacy so I was happy to hear that they were partnering with Dr. Sandra Abrams, Ph.D., an adolescent education expert and mother of two, to help advise parents on the subject of technology ground rules. I am pleased to share a post written by Dr. Abrams in partnership with LifeLock which provides some excellent information to prepare you to have the tech talk with your kids. It’s important to make sure you and your co-parent are on the same page and that you come together as parents to pause and think about the tech and digital device access you collectively grant your children. Have The Talk with your partner before you have The Smart Talk with your kids. Staying on top of kids’ technology use is a constant practice and can seem like a daunting challenge. After a long day, it’s tempting to let the kids sit in front of a screen even if doing so makes you cringe. If this sounds familiar, you are not alone. According to the Common Sense Media 2016 Census Report, 85 percent of surveyed parents think it is important to monitor their kids’ online activity . As your kids get older, their relationship with technology also matures – screen time likely increases and technology becomes more ingrained in your kids’ life. As parents, it’s important to have an informed role in our kids’ online lives to guide them on what is age-and-stage appropriate. A good place to start for developing a role in your kids’ tech habits is having regular, informal conversations with your kids about digital safety and responsibility. However, before you talk tech safety with your kid, your co-parent and you need to be on the same page. What seems logical to you may not be as obvious to the other parent, and even if you agree today, when your child is eight-years old and has only occasional access to a phone or tablet, you may not agree later on what is appropriate for a tweenager or even a teenager. How much time each day should your child be allowed to spend on a device? None? One hour? Three? Five? What is your child allowed to do on the device? Is texting okay? What about surfing the internet or using a social media app like Facebook? If your child is old enough to have his or her own device; will you insist that it be protected with a passcode so the information on the device is somewhat secure if the device is lost? Will you be sure that you know the passcode? What will you do if your child changes the passcode? Will you help choose and approve the apps that your child downloads? How much money will your child be allowed to spend on apps each week or month—and who is paying? Some social media sites have a minimum age requirement for creating an account. Will you make sure your child follows such rules? Will you look at your child’s phone on a regular basis to review his or her activity including who he or she is texting? Do you recognize his or her Snapchat friends? In which ways will you be transparent about parental control? What rules will you have to prevent oversharing of information (e.g., your home address, your child’s birthdate) and interacting with strangers? What ongoing conversations will you have with your child to help him or her think critically about device use, online activity, and socially responsible behavior? In the process of reviewing these topics, you may even find that you’re not practicing the safest online behaviors yourself. For example, how strong are your online passwords? Are you using the same online credentials for multiple accounts? When you think about the growing role of technology in our children’s lives, having a solid understanding of what constitutes responsible online behavior for your kid(s) will seem equally as important. After all, whether they’re crossing the street or surfing the net, you want your kids to be sensible, perceptive, and safe.